Saint Andrews Primary School is an international private school based in Blantyre. They recently booked with Kayak Africa to do a two day kayaking course for forty-eight students. 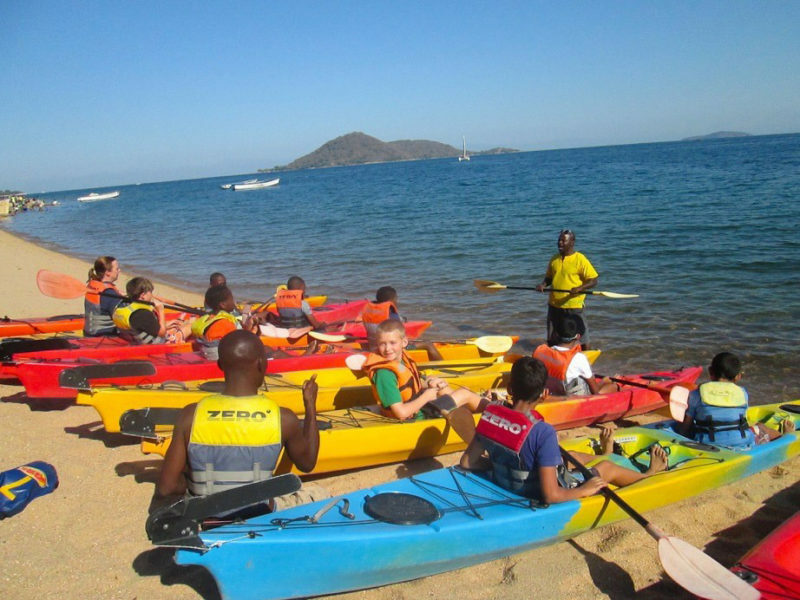 Our kayak guides, Edward, Fred, Cleartone and Denford gave the students a crash course at Golden Sands beach in the National Park, spending two hours a day with each group. The students enjoyed learning to kayak with confidence and being able to explore the crystal clear waters of Otter Point by boat. This is the second year we have run this course for St Andrews pupils and it promises to become a much-loved yearly event.